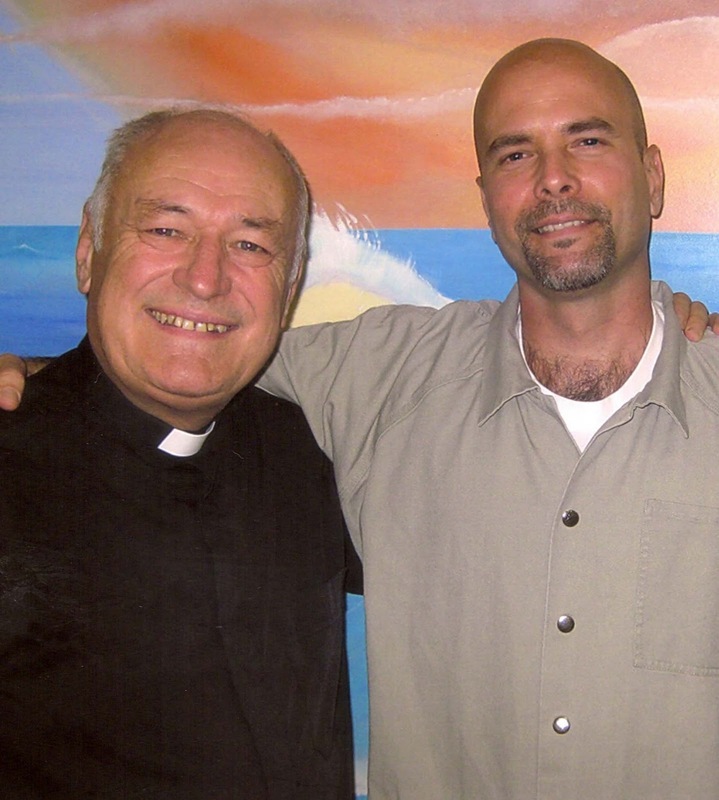 Fr Geoff Bottoms of CSC visited Gerardo in November last year and found him to be in his usual positive frame of mind. With a mailbag constantly bulging at the seams he is grateful for the solidarity expressed right across the world and especially from Britain which always holds a special place in his heart. He had received photos of the candle-lit vigil organised by CSC in front of the US embassy last October and was impressed by the wealth and range of support from across the labour, trade union and progressive movement. Of course the main light on the horizon had to be the report of Amnesty International expressing serious doubts about the fairness and impartiality of the trial and calling for clemency should the appeals process fail to remedy the situation. Gerardo believes the international movement should mobilise around this as the key focus of action in the coming months. In explaining the main grounds of the latest appeal Gerardo outlined how the prosecution representing the US government had wanted the jury to believe that a message in which he had taken partial credit for the safe return of an agent to Cuba was related to a separate operation concerning the sending of information about the illegal violations of Cuban airspace and therefore the shooting down of planes belonging to the terrorist organisation known as Brothers to the Rescue. By blurring the distinction between the two operations Gerardo had been found guilty of “conspiracy to commit murder” leading to two life sentences rather than the single sentence for “conspiracy to commit espionage” imposed on Ramon Labanino and Antonio Guerrero. During the visit there was a sense that something momentous was about to happen in the case of the Five and that the coming year would mark a significant milestone in the campaign. Yet there was also a sense of urgency in exerting pressure on the Obama administration which was half-way through its first term. Meanwhile Gerardo had still not seen his wife since his arrest in 1998 and was denied access to emails unlike his fellow inmates. Since his spell in solitary confinement he had lost the one job he had in the prison and was relegated to collecting trash as required around the perimeters of the compound for a few measly bucks. He now shares a cell which has become an unofficial dispensary for sick birds following his rescue of a young chick the previous year! As if to reinforce the uphill struggle of the campaign Gerardo mentioned “The World Almanac and Book of Facts” published since 1868. Every year it includes a section titled “Notable Terrorist Incidents Worldwide” from 1971 to the present. The list contains all kinds of terrorist incidents including some where no lives were lost. However, not even one of the many acts against Cuba is recorded, not the bombing of the Cuban airliner in 1976 killing 73 people nor the hotel bomb in 1997 that killed the Italian tourist Fabio Di Celmo. Yet the book calls itself “The Authority” and “The Number One Bestselling American Reference Book”! The time for justice is now! Reported by Farther Geoff Bottoms from his recent visit to Gerardo Hernandez who believes the international movement for freedom for the five should mobilise around the October Amnesty International report which questioned the fairness and impartiality of their trial.